Michigan wedding photojournalist and Michigan wedding photographer is happy to spend 8 hours shooting your wedding photographs. You own the rights to all your Michigan wedding photos that day. This Michigan wedding photographer's got a lot of miles on her car from traveling to weddings in Ypsilanti and Ann Arbor Michigan. These images in this photo album or gallery were all shot in a wedding photojournalistic style in Ypsilanti and then the reception was in Ann Arbor, Michigan. I'm a wedding photojournalist who travels quite often to the college towns of Ann Arbor, Ypsilanti, Lansing, and Rochester, MI. My college brides seem to want a real wedding photojournalist to shoot their wedding photos on their wedding day. I do travel throughout Michigan, but I try to stick within 50 miles from my home in Troy, MI. So what does a Michigan wedding photojournalist do? All wedding photo studios now offer a "wedding photojournalist" package because they know that brides are looking for more candid wedding photos than ever before. The real difference is experience, patience and the ability to predict moments. I've got my camera up to my face for 90% of the wedding day. That's why I rarely miss moments. It also gives me a cloak of invisibility. People expect and anticipate that I'll disappear. Within moments of my arrival, people simply forget that I'm there. That's what a true photojournalist is able to accomplish in short order. It makes the photos feel natural and real because they are. They lack a certain stagnant, created feel. This couple in Ypsilanti wanted a fair number of posed photos, which is fine. I'm happy to follow each couple's lead as to what they're really looking for. 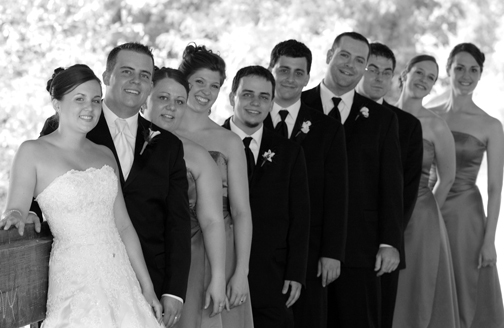 These portfolios or wedding photos were shot at Ypsilanti and Ann Arbor, Michigan. Michigan wedding photography that is truly shot by a real photojournalist is rare, but these photo albums or photo albums should let you see the difference between how I approach wedding photography and how a studio does. My galleries are all unique and my portfolio and portfolios reflect my photojournalist background. Detroit Wedding photography is something I do.